A quick view of the most influential metrics in Hickory Hills Subdivision. 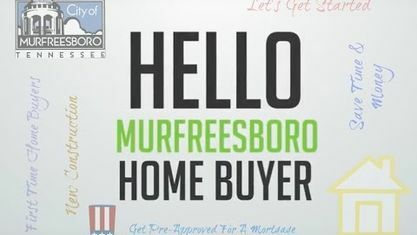 Located off Franklin Road near the Blackman Community, the Hickory Hills Subdivision is a single-family home development in Murfreesboro TN (Rutherford County). Hickory Hills Subdivision properties are located on Elizabeth Drive, Franklin Road, Hickory Hills Drive Mooreland Lane and Veterans Parkway. Other Murfreesboro Subdivisions near Hickory Hills Subdivision include Barfield Downs Subdivision, Blackman Cove Subdivision, Brighton Park Subdivision, Forest Ridge Subdivision, Green Meadows Subdivision, Kingdom Ridge Subdivision, Naturewalk Subdivision, Puckett Station Subdivision, Retreat at Pinnacle Hills Subdivision, Royal Glen Subdivision, Sheffield Park Subdivision, The Cloister Subdivision, Villas at Cloister Subdivision, Three Rivers Subdivision and Westlawn Subdivision. View our selection of available properties in the Hickory Hills Subdivision area. Check out the latest demographic information available for Hickory Hills Subdivision. Get to know Hickory Hills Subdivision better with our featured images and videos. Learn more about schools near Hickory Hills Subdivision complete with ratings and contact information. Browse through the top rated businesses in the most popular categories Hickory Hills Subdivision has to offer.